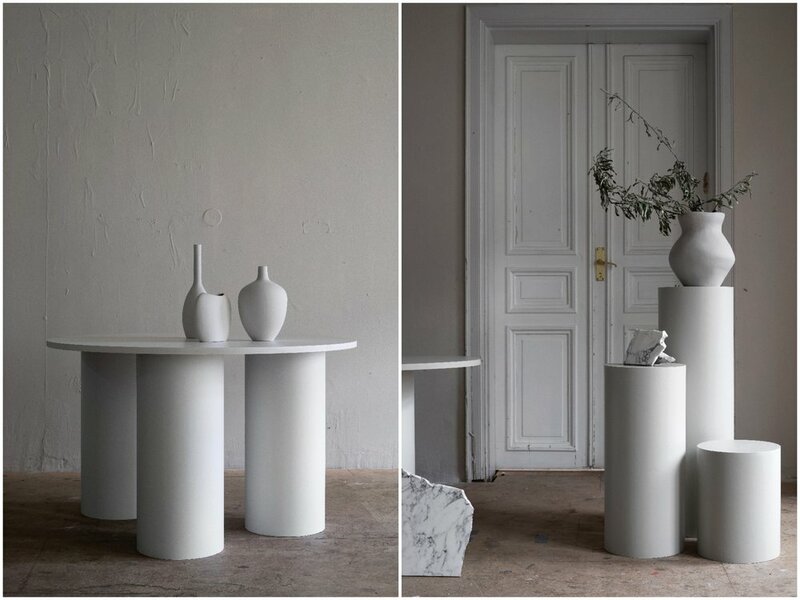 I’m delighted to have recently connected with designer Lovisa Häger who has launched a wonderful range of pedestals, table legs and table tops. Her first collection ‘Lair’, is a selection of minimalist elements that are inter-changeable and made by hand, in Sweden with her father. All of the elements can be combined in different ways, creating a variety of furniture of the same components. Pedestals of different heights can be used with various tops to create a range coffee tables, sideboards and dining tables, or used for themselves to showcase your favourite details. Lovisa Häger is the founder of An Interior Affair, a platform for all her creative expressions within interior design. Today her work varies from decorating homes and offices, developing marketing concepts, creating art, designing furniture and creating content for digital marketing and much more. It originated as a way of reaching out with DIY projects, where her vision has always been that beautiful interiors can be created from anything, regardless of budget, and that anything and everything could (and should!) be turned on its head to create new and interesting interior design. Starting out as an escape from long days of finance studies in London several years ago, An Interior Affair has grown and today Lovisa and her partners work with private and corporate clients helping them live out their interior dreams. Delivery is available to the UK, just contact Lovisa directly for a delivery quote. Prices for pedestals start from approx £75. Click here to view the full collection.